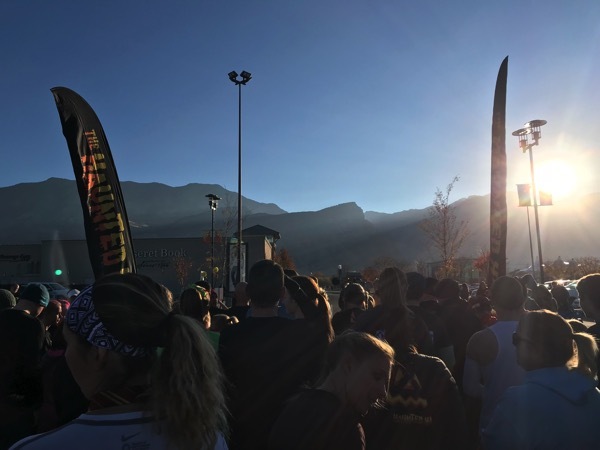 My 5th race of this pregnancy… done and done. 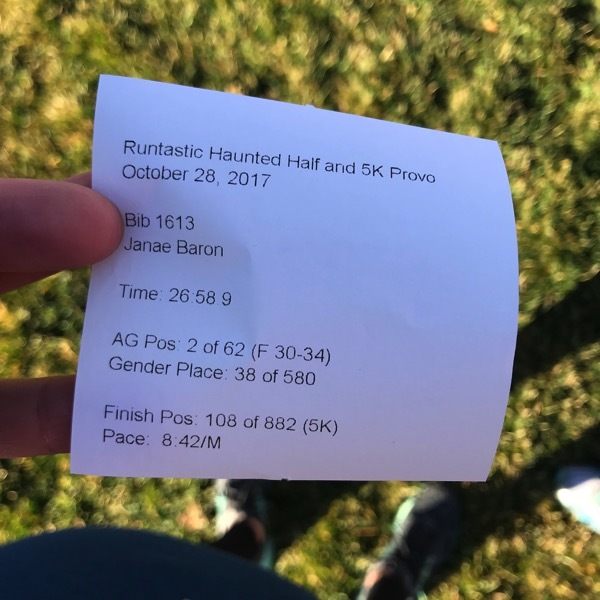 Also, the last race of this pregnancy done and done and I’m glad to end it on such a high note with The Haunted Half. 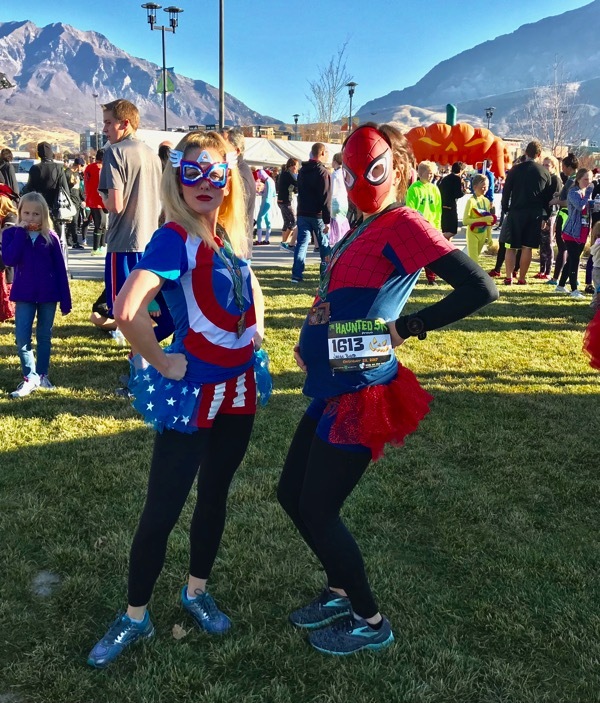 If you are wanting a FUN race where people are quite concerned about having an awesome costume, candy is passed out along the course and you are wanting some gorgeous fall scenery/temps… this is the one for you to do. I fueled for this race with two pieces of toast and homemade strawberry jam before leaving. The house was so quiet, it was strange (Andrew was at school, Brooke was with her dad and Knox was with his mom). Beretta was there but she was still sleeping, I’m pretty sure she sleeps more than a newborn. A while ago I asked Jess if she would want to join me for this 3.1 miles of goodness and because she is always down to have fun, she replied back yes within seconds of me texting to ask her. 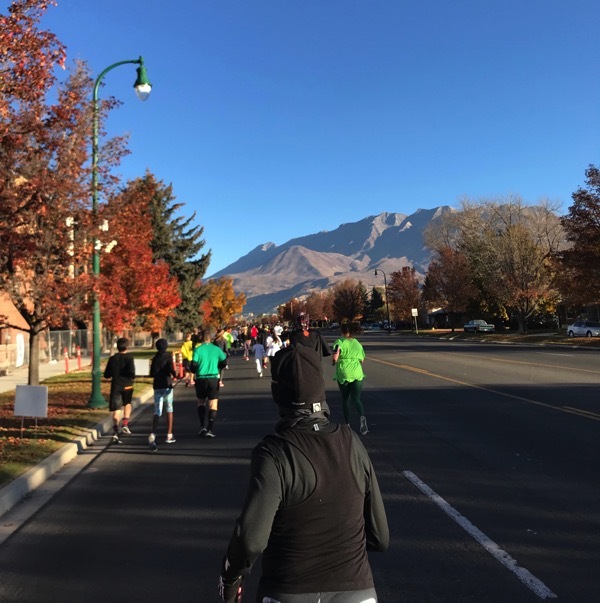 The half-marathon starts at 8 o’clock and the 5k starts at 9 o’clock which felt amazing… I’m used to these Utah races where we are on the bus at 5 in the morning to get to the starting line. Parking 30 minutes before the race started was a very exciting thing for me. PS the one morning where everyone is gone and I could sleep in as long as I want = the one morning my body has no desire to sleep. 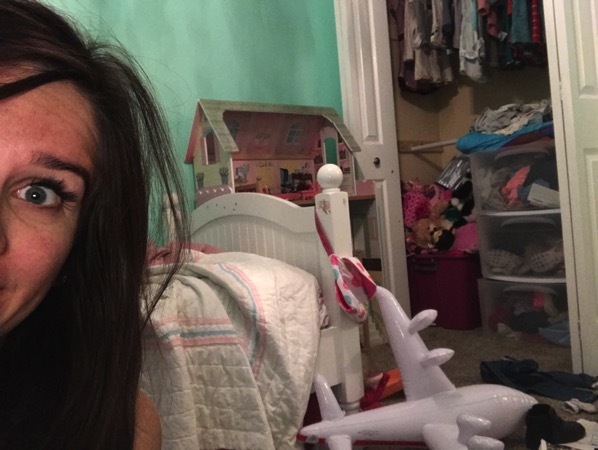 I guess the nesting is kicking in early because I went into Brooke’s room and went through every toy, piece of clothing and all of her art supplies and organized/donated/boxed up all of the stuff she doesn’t need anymore. It was quite the process but now all three kids have organized rooms which feels really good for my nesting needs (now to do our room?). 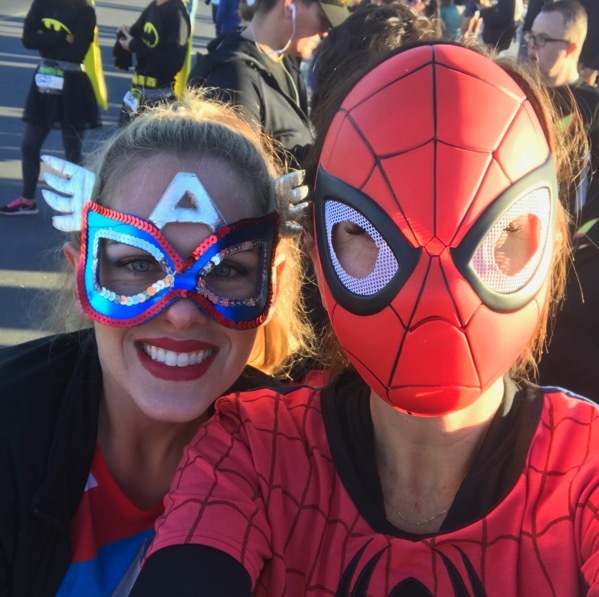 I did not run with my mask on because I had zero desire to fall. Jess and I chatted the whole race and filled each other in on all of our latest stories and the 3 miles went by like lightening. Here is the tunnel. Ummmm this would be pretty tough to deal with if you are racing the course but for us we loved it and only got hit in the face once or twice by the things hanging down from the top. I really tried hard to get a good belly shot while running to document her 5th race but it didn’t go as planned. 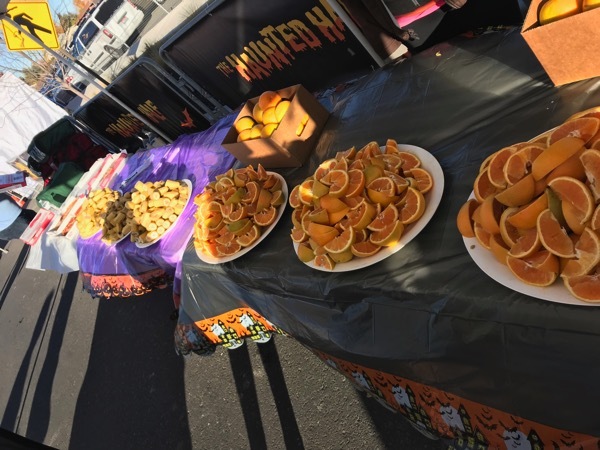 We finished the race and they had all sorts of fruit, pizza and creamies (Utah popsicles that someone thought would taste good in 40 degree weather… I kid, I’m sure they tasted good but I was searching for the hot chocolate. I LOVE when races have the computers for you to enter in your bib number and then they print off your time! I love having their official results right away. Our splits went a little like this: 9:12, 8:31, 8:24 & 8:10ish for the last .1! This race got me thinking about going after a 5k pr after I have this baby and recover… my 5k pr is HERE! 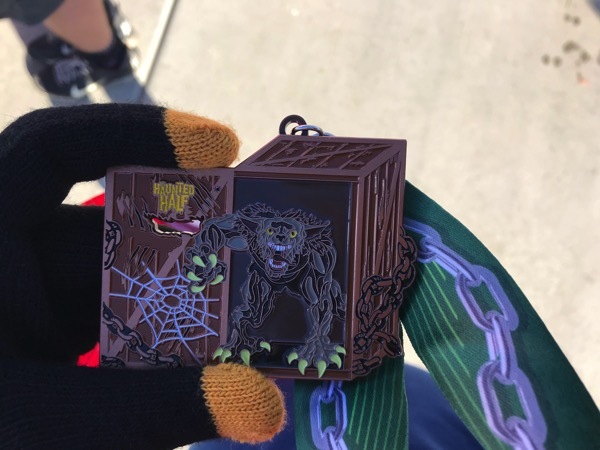 This race made me really miss the kids because they would have LOVED the decorations everywhere. 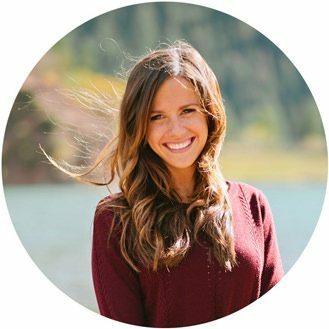 Brooke still talks about the time she did this race two years ago. Next year we will make it a family event and push the baby in the jogger too. They would have loved the jump houses they had set out too! Jess and I probably took about 300 pictures of us attempting to pose like our characters. Knox would be proud of my Spider-Man, I think. One of the absolute biggest highlights… MEETING HOLLIE. After all of these years (7) of blogging/stalking/chatting online/being internet friends with each other, we met! Of course she was a speeding bullet and took 2nd overall for the women! I probably should have mentioned something about the elevation change (she lives in New Jersey) because I don’t think that felt great for her on that final hill but she is crazy strong and rocked it. COME BACK AGAIN SOON HOLLIE!! Her and her husband are on a 2 week road trip around this side of the country and I am so happy that our area made the cut for stopping points. 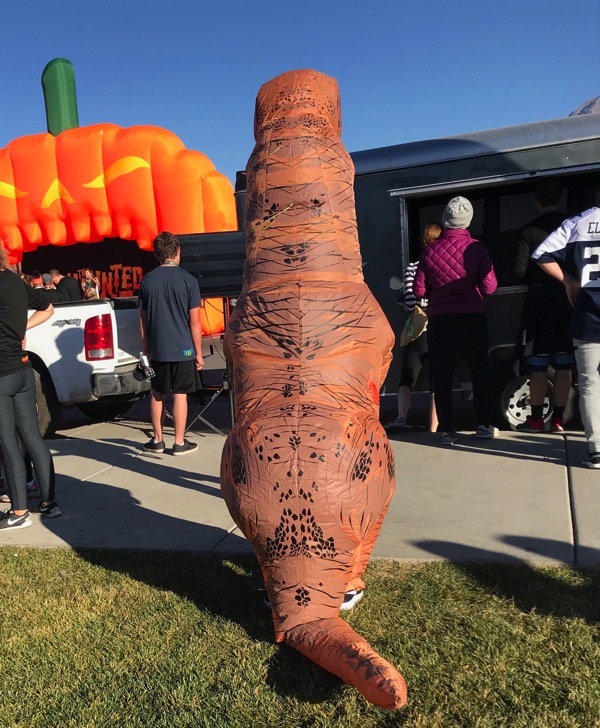 To the person that ran a 5k or half-marathon (not sure which one they did) in this dinosaur costume, you are amazing. PS did you see how this woman ran a MARATHON IN HIGH HEELS. My feet start aching even trying to imagine doing such a thing. 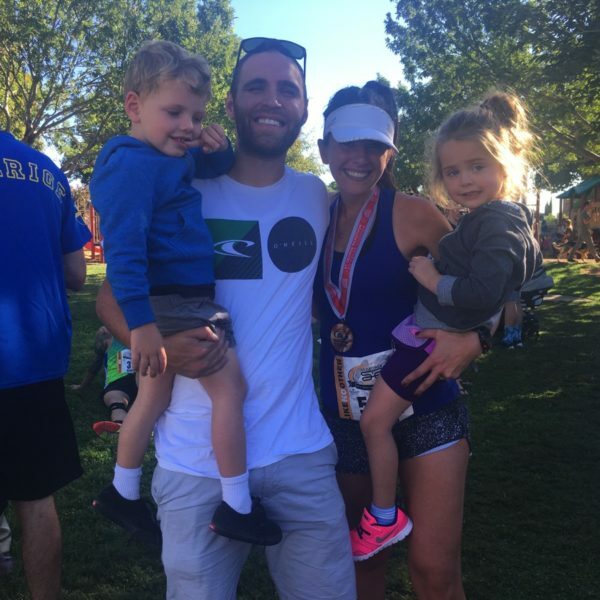 She trained for months to be able to do it and finished in about 7.5 hours. Seriously, how in the world do you do this?!? I can barely walk in and out of church with my heels on. Jess took first in our age group and I took second which I was pretty thrilled about! They gave me a new foam roller which I can’t wait to try out! What has been the best part about your weekend so far? Have a foam roller? How often do you use it? Longest road trip you have ever done… how many days, miles or states did you hit? What are you having for your Sunday morning breakfast? Great job, Janae!! That race looks like so much fun! I just had french toast and eggs for my Sunday breakfast. I’m being induced on Wednesday (AAAHHHH!!!!!) and am trying to make elaborate meals every day until then :) I wish my nesting would kick in more… we could use a maid haha. My longest road trip was from New Hampshire to California… and I did that four times in two years. I’ll never do it again, but it was quite the experience. My mom joined me 3 out of the 4 times, and we had a blast. Enjoy your Sunday! Rest up! Thanks Stacey! Wait Wednesday?!?! Ahhhh I am so incredibly excited for you! Why are they inducing you (you can email or not answer ha if that is too personal)! I am just so thrilled for you, you are going to be an amazing mama!! Looks like a fun race! I should probably break away from my regular races and try some new ones. Come do the race next year Jenny! It’s so fun!! 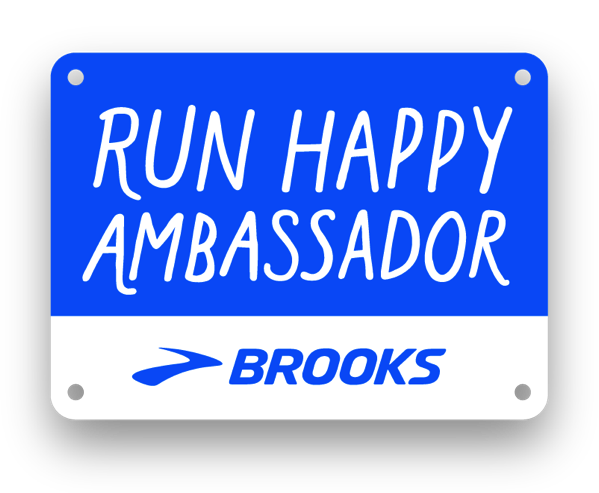 I hope your Sunday is a great one and you are doing awesome with your running! Great Job! 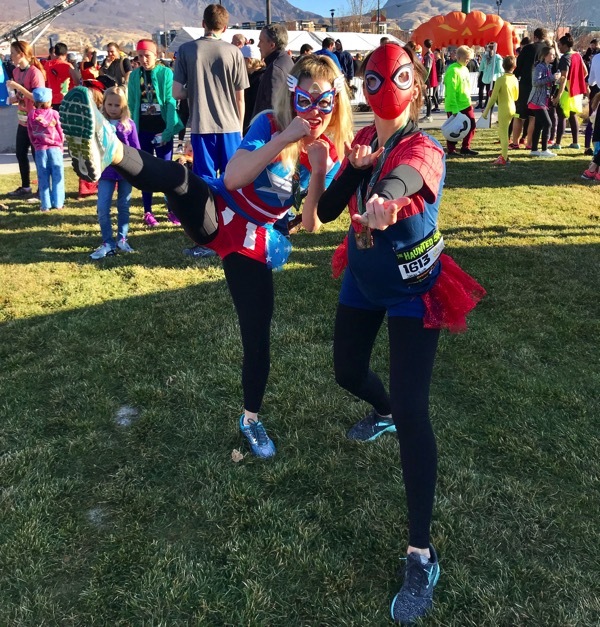 I did the 5k with my 7 yr old who was also Spiderman. That dinosaur ran the 5k we came in just in front of him. funny thing is… you got a pic of my hubby with the T-Rex ( on the right in the partial jersey) Today’s plan is to rest. we haven’t had a long roadtrip yet.. we are planning one for next summer though from Washington- Oregon- San Francisco CA. nothing for Sunday Breakfast yet. have a good weekend. Ahhhh no way! I wish I would have seen you! Congrats to you and your 7 year old, that is awesome! I love that you saw the T-Rex too.. I can’t imagine running in that! 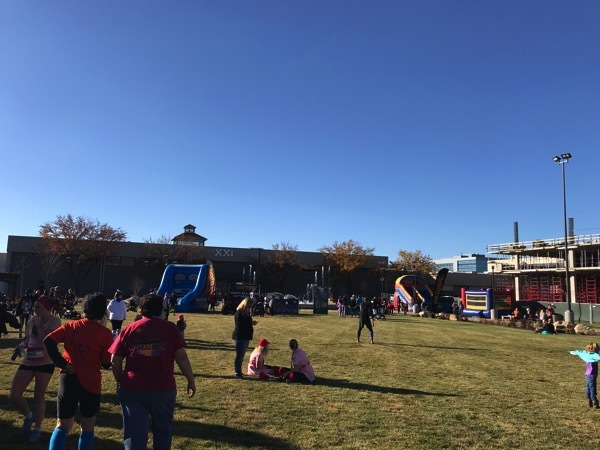 Wasn’t the weather perfect yesterday? That road trip sounds gorgeous! Enjoy your Sunday Molly!! So cool! I was really excited to see your costume and think you made a killer Spider-person! The best part about my weekend was taking my son trick or treating at the Embassy on friday night. It is not quite the same as trick or treating in America, but still a fun time was had by all. And we will be back home for Halloween next year! Longest road trip I have ever done was 3 weeks, 9 countries, 2100 miles this August. Prior to that in 2002 did 2 weeks, 12 states, 2500 miles (which is technically longer distance wise, but I was thinking time wise). For your Sunday morning breakfast I had cookies and espresso and grapes. But then we had a real breakfast for lunch (scrambled eggs, beans, tomatoes, toast). Thank you Tonya! Oh I am glad you guys got to trick or treat on Friday! Wow!!! You have had quite the road trips, that is amazing!!! Your breakfast and lunch today sound soooo good! Enjoy the rest of your day! My husband and I had a great day out yesterday and I was able to get my apples. We had lunch outside at the orchard and soaked up the sun. We’re getting a nor’easter today so we’ll be sticking close to home. I had a piece of toast, and an apple both with honey roasted peanut butter, also picked up at the orchard. As well as a small piece of applesauce cake, also part of yesterday’s haul. I have a foam roller and I really don’t use it as often for rolling as I should. I do incorporate it into some of my Pilates core and balance work. Hey Nina! Your day yesterday sounded absolutely perfect! Your breakfast today sounds ridiculously good too! Thanks Nina and I hope the rest of your Sunday is a great one! So fun! 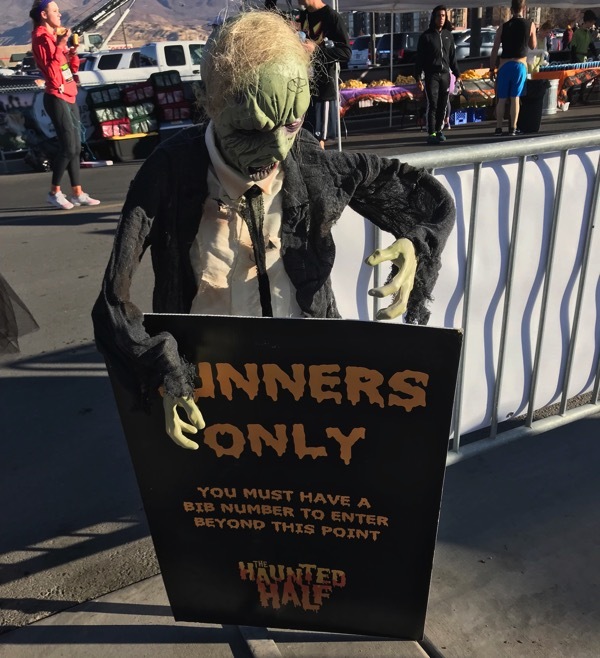 I want to do a Haunted Half next year. I was going to do the SLC one this year but it ended up being the same day as something else I had already committed to. 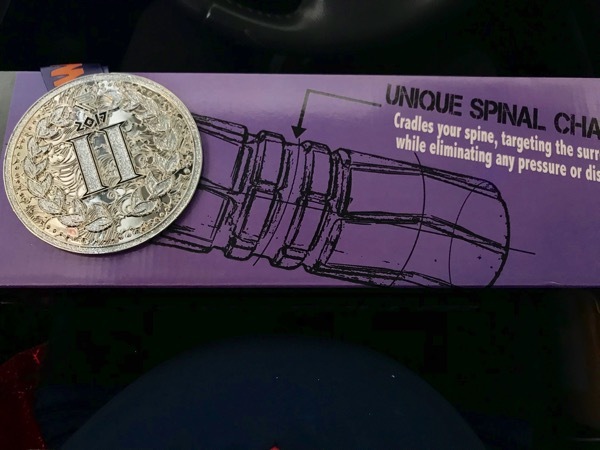 I just barely bought a foam roller and I’m so excited to use it! Longest trip: we drove when we moved from Utah to Texas. We broke it up into 3 days but I think technically you can do it in one REALLY long day OR two of you’re ambitious. We took our time. I think I’ll have Kodiak cakes and some hot chocolate for breakfast :) Have a great Sunday!! Sounds like the perfect breakfast to me! 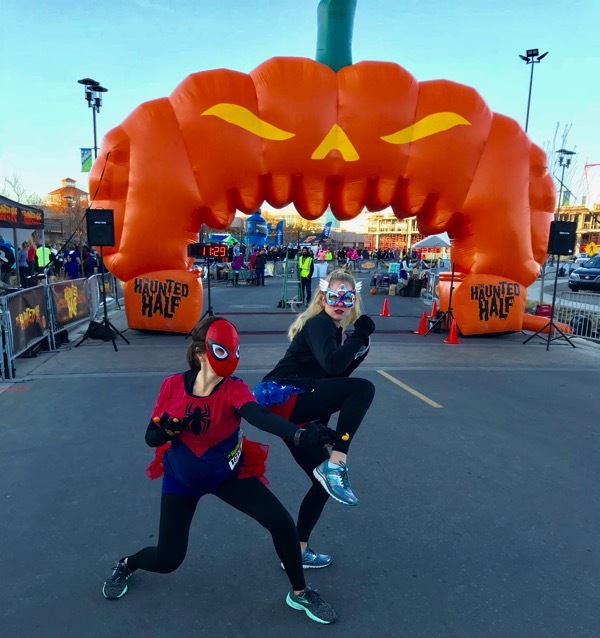 Alyssa, let’s both do the haunted half next year:) oh that is a long drive! Deal! Let’s do it :) We should have coordinating costumes! Where did you get or did u make those costumes?? Super super cute!! How fun! 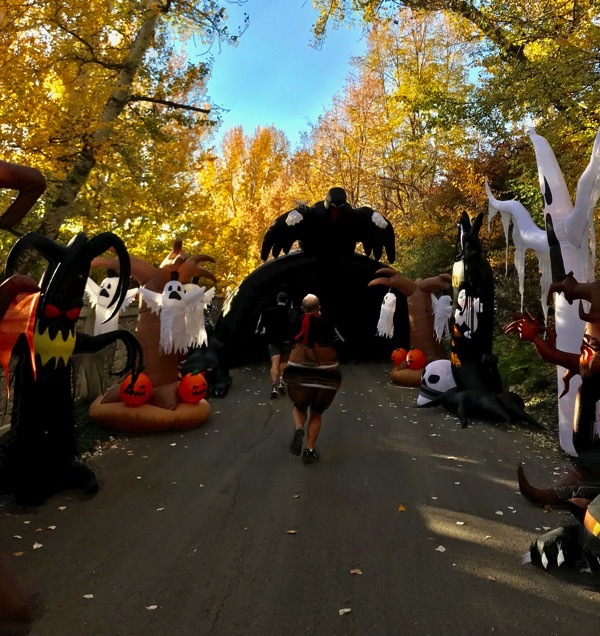 I wish my town had a Halloween run that works with my schedule lol Love the baby bump. Also if you haven’t already the Spider-Man movie is so good! My son is going to be that for Halloween and we watched it again. Hey Christina! We just went to a Halloween store and bought them there… very little creativity over here ha! Oh we love the spider-man movie! Have so much fun with your son and this time of year! Enjoy your Sunday! That sounds like such a fun race! Congrats on your 5th pregnant race! Best part of the weekend: Doing a hospital tour where we’re having the baby and finishing up the last things for the nursery. Seeing the delivery room and getting everything ready makes it feel so much more real! I wish my nesting instinct would kick in-my house could really use it. Sunday breakfast: Doughnuts! Not a very healthy choice but I had to stop by the grocery store (I’m out of Cheerios and literally can’t go a day without them) and the doughnut display case called to me; I couldn’t resist! I’m glad you had doughnuts today… treat yourself:) ahhhhhhh hospital tour! That is so incredibly exciting! I am so happy for you guys! You are getting so close! Keep me updated with everything and enjoy your Cheerios! I’m glad your race went so well and you had so much fun! I have a foam roller and I hardly ever use it. I forget! I really need to use it more often. This morning I had a berry smoothie and some pumpkin cereal. Well that sounds like a delicious breakfast… you are inspiring me to make a smoothie today:) I hope you have had a wonderful Sunday so far!! Thanks Amanda! That race looks so Fun! The lady who ran in heels was in my city…..i can’t walk in heels let alone run…..ha! This weekend we are in Nashville on vacation so we are partying and eating all our favorite places! Oh that is so cool she was in your city! Oh enjoy every second of Nashville, that sounds like so much fun! This race looks like so much fun. Not fun, would be watching a woman 8 months pregnant, dressed in costume, beat me in a race. lol. Only you, Janae. How festive!! Love seeing all of the costumes and what a surprise to see your blogging friend. :) I had some kim bap for breakfast (Korean fish cake sushi) that we picked up from the local Korean grocery store on my way to my cousins’ house… I know you’re missing your kiddos but enjoy the moments of solitude :) happy Sunday! Oh my goodness-you and Jess are hilarious in your costumes posing! Knox would definitely be proud. And both with AG placing?! 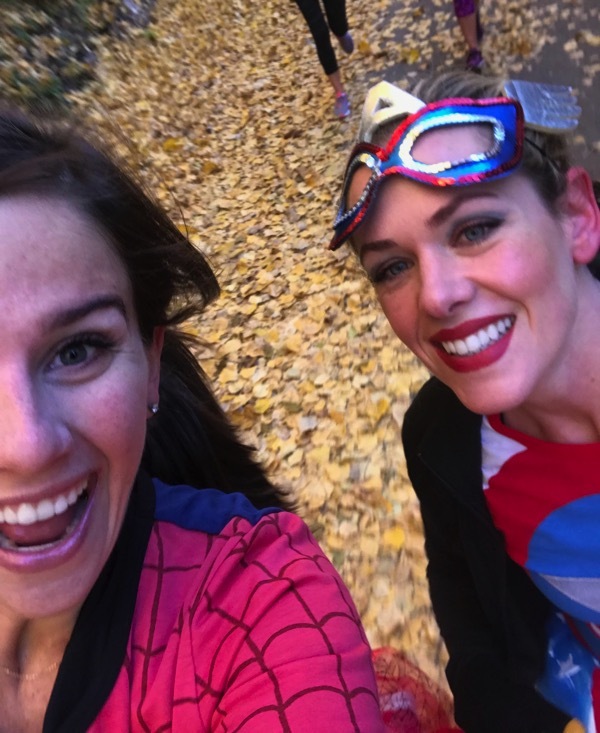 superheroins! The best part of my weekend was watching my high school daughter play tennis in the Championship tournament then we headed to the XC Championship race (I’m one of the coaches) and both boys and girls teams won our our Division! So proud of our small school athletes! My “weekend” was actually Thursday and Friday and on Friday we went to my BF’s grandparents farm! I love it out there it is so peaceful and wonderful, we fed the cows and my dog got to run around. I have a foam roller and I am so terrible about using it. 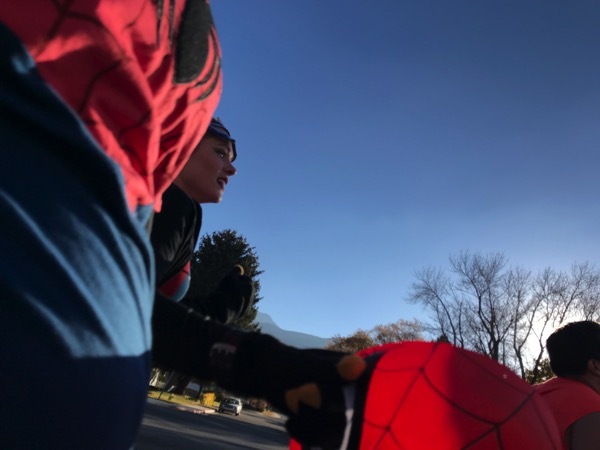 I am just starting my next LONG training cycle, basically a year hahaha with a few small breaks, my BF and I just committed to each other to run my first marathon and his second and our first ultra, a 50k, anyways I am determined to foam roll more this time!!!! Longest road trip……..I think 2 weeks in 5th grade. my mom, dad, brother and I went across the US in our motorhome to drop my bother off at college on the east coast, we lived on the west. Breakfast was 2 donuts that I regret a little hahaha, I need to start planning better. I have been back from Europe for almost 3 weeks and I have only done a small amount of grocery shopping, need to get back to food prepping. I will definitely tell you what we think of season 2 stranger things! I haven’t run in such a long time on account of my back and not really a great runner period but you made this run look so fun! 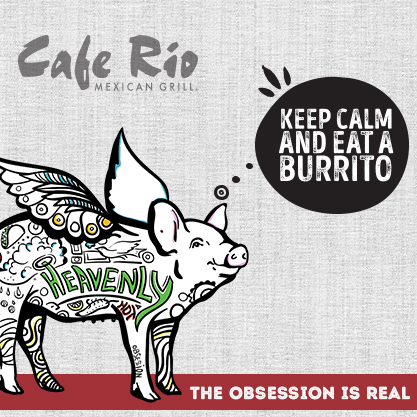 I’m going to have to see if they have one near us. We LOVE Halloween and dressing up! We’re making the kids costume right now. :) oh! I love the foam roller! The first time I tried it, it hurt so bad but now it feels like a great massage. Have a blessed day, Janae! I HAVE TO BE HONEST WITH YOU RIGHT THIS SECOND, and I really, REALLY don't mean to be critical: I miss seeing you this happy/goofy/hilarious! :) I feel like it's been a minute since you've posted a goofy pose or face. I was 2nd in my age group last year at that same race. It was pretty fun! OMG! 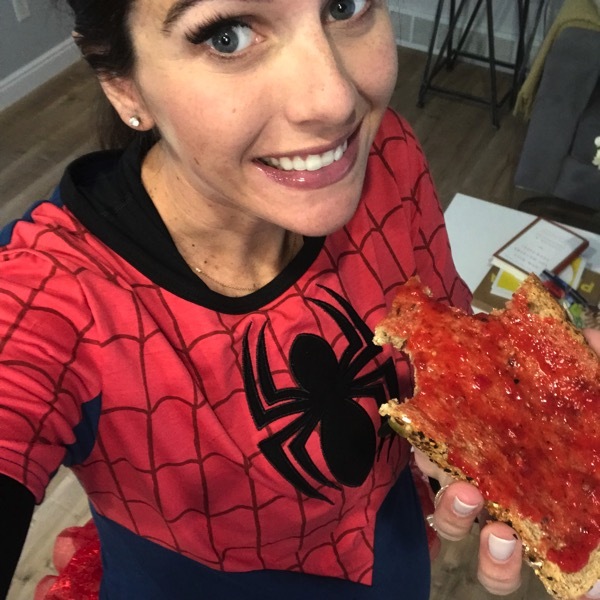 You make the cutest pregnant Spider Man I have ever seen!!!! Congrats on placing. You are amazing. Congrats! The pics look so great! I know What you mean about sleep! When i have the chance my body says NOPE! Ugh! Happy ?!! I am the slowest commentator today! LOL. I had such a good time chatting and hanging out with you. Plus bonus foam rollers! That tunnel was nuts. You were the best spiderman and I loved you and Jess’s costumes! The best part of my weekend is actually that there was a witness to the guy who hit my hubby’s parked and empty car and then drove away! Without leaving a note or anything! That does look fun! Did you already have costume? I’ve never run in a constant, sounds uncomfortable to me but yours didn’t look like too much unlike the dinosaur. I’m impressed with your getting brooks room all cleaned and organized. I could stand to do that to all our rooms as well! 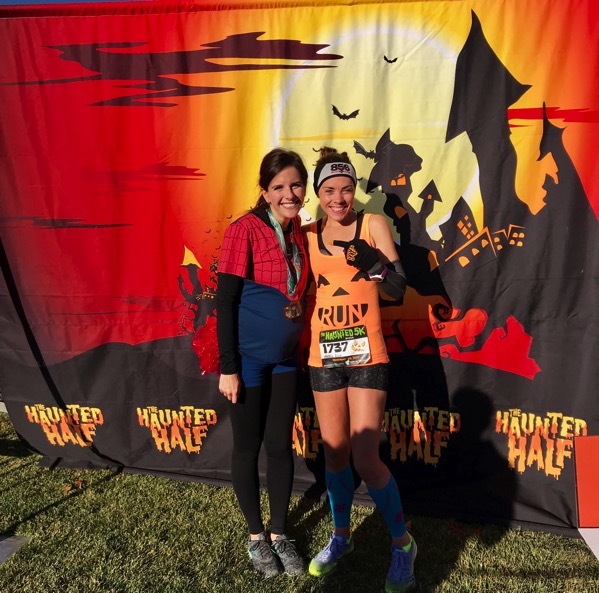 i also raced in a “haunted half” – there were so many great costumes and it was a lot of fun. the best part? the dim sum post-race was pretty good, but i’m going to say the relaxing facial post-race-nap which was post-race-shower was just what i needed. it was wonderful. yes, not often enough. maybe 1x every other week? That is a fantastic time pregnant! That’s very close to my 5K PR time too, lol. 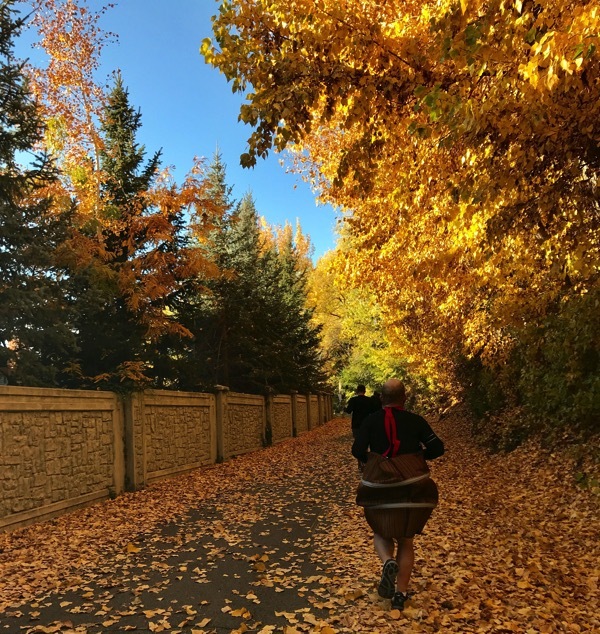 I was at 7 Bridges Marathon when that lady ran in heels! I didn’t see her but my friends who were cheering for me and another friend did. 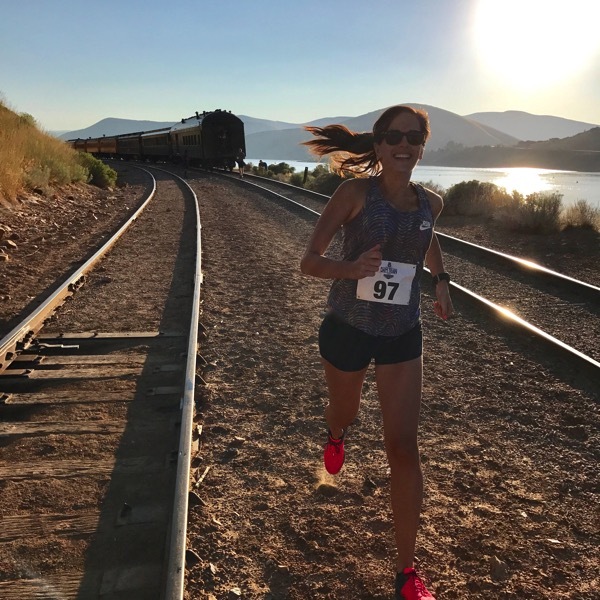 She actually ran an ULTRA in heels because the course was long by over a mile (the race admitted it). Love the costumes!